What Are The Best Healthy Pantry Foods? What I Eat: 19 Of My Go-To Foods For Stocking A Healthy Pantry. My buddy Mark Sisson recently published his top 50 essential healthy pantry foods for establishing a shelf-stable pantry that will stand the test of time, dozens of recipes, and course, a zombie apocalypse. From cricket bars to kombu, here’s his list. OK, granted – despite looking like a Greek god, Mark is a touch older than me (twice as old? ), but nonetheless, I’ve obviously got some catching up to do, because when I venture into my pantry it’s difficult to hunt down 50 different items. However, I recently spoke at Nourish Vermont’s Traditional Food And Health Gathering about “Fueling The Ancestral Athlete”, and during that talk, I was at least able to identify 19 foods that do indeed appear as staples in my diet. …at the end of this post, I’m going to give you a link to another article that I wrote which shows you how to use these foods to make quick and easy recipes, and also, because I know that quality ingredients and products like this aren’t always affordable (especially if you’ve ever shopped at markets like Whole Foods AKA “Whole Paycheck”), I’ll show you exactly how to stock your pantry with all these things (and more) at 25%-50% off retail prices you’d pay at a normal grocery store or fancy market. Nearly every traditional society boiled bones of meat-giving animals to make a nutritive broth. Bone broth is an extraordinarily inexpensive food, especially for its nutritive value. Beyond its culinary uses and economic benefits, bone broth is remarkably healthful, deeply flavorful, incredibly versatile and can provide a handy base for soups, sauces, gravies, as well as providing a cooking medium for grains and vegetables. As the bones from bone broth cook in water, minerals such as calcium, magnesium, phosphorus and other trace minerals and nutrients leach from the bones into the water. The minerals in broth are easily absorbed by your body. 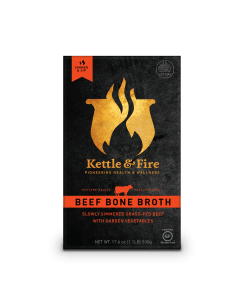 Bone broth even contains glucosamine and chondroiton, which may help mitigate the deleterious effects of arthritis and joint pain. Bone broths are also rich in gelatin, which is an inexpensive source of supplementary protein that helps to support the connective tissue in your body, and also helps the skin, fingernails and hair to grow well and strong. You can knock yourself out with just about everything else you need to know about bone broth in this bone broth podcast episode I recorded with chef Lance Roll. My top tip for bone broth: I drink a cup of bone broth (I drink it hot or cold, and don’t really care which) as a nourishing, nutrient-dense low-calorie substitute for a meal when I’m in a hurry or watching my calories. It can also be used a healthy substitute for a sports drink, as I discuss with my podcast guest here. Free-range eggs are eggs produced from birds that are permitted outdoors for at least part of the day. The term “free-range” may be used differently depending on the country and the relevant laws. Eggs from hens that are only indoors might also be labelled Cage-free, Barn, Barn-roaming or Aviary. I’d personally prefer to eat eggs from chickens who have only eaten organically and who have been allowed to roam as much as possible. Egg protein is classified as a complete protein. For a protein source to be considered complete, it has to have all the nine essential amino acids present. The amino acid content of eggs is well studied and their value as an excellent source of protein is pretty widely known. Beyond the nine essential amino acids, there are other kinds of proteins in eggs that are considerably beneficial. Ovalbumin, for example, is one type most abundant in the egg white (interestingly, it has been used as a treatment for heavy metal poisoning). The advantage of raising poultry in a free range organic way is that the eggs produced have more of these benefits. For example, a free range chicken with access to clean pasture is likely to lay eggs with better nutritional quality. Free range eggs have been found to have higher A and E vitamin content, and double the amount of omega-3 fatty acids compared to eggs from conventionally raised poultry. My top tip for eggs: for an impressive, citrusy surprise, cut an orange in half, remove the flesh, then cook the egg inside the orange peel “bowl” by baking, broiling or grilling until the egg is bubbling. Serve with sea salt, black pepper and olive oil. Sweet potatoes, despite their name, are only distantly related to white potatoes. In the United States, this vegetable is known for its starchy and sweet-tasting flavor, although its shoots and leaves are eaten as greens in other parts of the world. Americans’ consumption of sweet potatoes used to be significant. However, in the mid-twentieth century, this habit waned because the sweet potato got associated with “hard times” and a “poverty food” as it was used as one of the go-to crops during war and famine. Though sweet potatoes are also viewed rather negatively due to their carb content, this vegetable is actually one of the healthiest ones out there, and a big staple in my diet. Sweet potatoes contain anthocyanins, pigments responsible for the array of colors in crops. Sweet potatoes, specifically the variety with purple flesh, have been studied extensively and it has been found that the purple pigments have hepatoprotective properties that reduce inflammation and induce antioxidant enzymes in liver. The purple anthocyanins also act as scavengers of free radicals in the body and guard against acetaminophen toxicity as well. The purple pigments have been found to alleviate brain inflammation in rats, and this may prove instrumental in the creation of therapeutic approaches to inflammatory brain diseases. Rats on a controlled high-cholesterol diet and fed purple sweet potato flakes showed increased glutathione levels in the liver, leading researchers to conclude that purple anthocyanins minimize oxidative damage to the liver caused by a high-cholesterol diet. The purple variety of sweet potatoes aren’t the only ones packed with goodness. Orange-fleshed sweet potatoes are touted for the potent vitamin A content as well, with one cup of this tuberous vegetable capable of providing more than four times the RDA for Vitamin A. In fact, orange sweet potatoes have been used to address the vitamin A and serum retinol deficiency in young children in Africa. Also, type 2 diabetes patients fed the extract of white-skinned sweet potatoes showed increased levels of the anti-diabetic protein hormone adiponectin in their blood. So ironically, despite their carbohydrate content, eating sweet potatoes may be beneficial for managing type 2 diabetes as well. My top tip for sweet potatoes: Boil ’em. According to a 2011 study published in the Journal of Nutrition and Metabolism, this method of cooking sweet potatoes influences it glycemic index (GI). Boiled sweet potatoes had the lowest GI, while baked, fried, or roasted ones had comparitively high glycemic indeces. Boiling aids in the removal of oxalates as well. When boiling sweet potatoes, fill the cooking pot with water enough to cover the thoroughly washed sweet potatoes and boil until the tubers are tender. Adding healthy fats to your boiled sweet potatoes boosts vitamin A bioavailability and uptake as well, so for a mashed sweet potatoes recipe, you can add a tablespoon of olive oil for every cup of this boiled vegetable. The avocado is quite known for its high fat content. This is perhaps the reason many weight-conscious and fat-phobic individuals steer clear of this fruit. And sure, avocado does have considerable amounts of fat, but these fats do some pretty cool things. For example, monounsaturated fats, which the avocado has in great abundance at as high as 30 grams per fruit, are actually hailed for their ability to lower the levels of triglycerides. 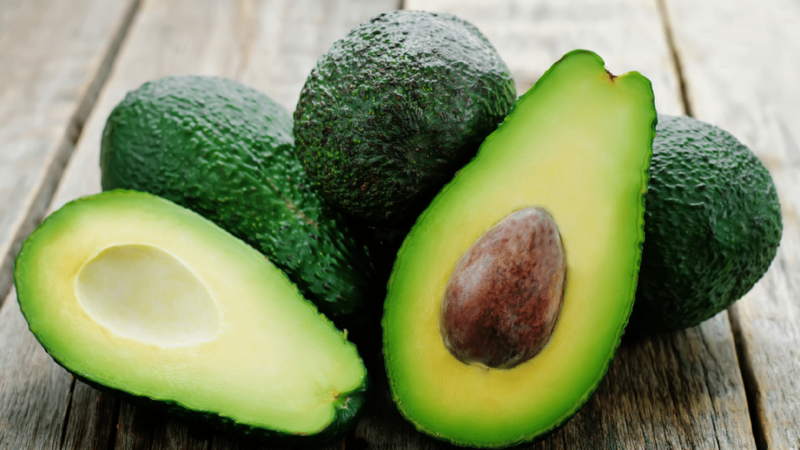 People such as diabetics who have high triglyceride levels in the body may see their triglyceride levels fall by as much as 20% by eating a serving or two of avocado daily. Avocado is a potent source of folate as well, with one avocado providing as much as 28% of the daily recommended intake. Aside from ensuring optimum brain function and health of the nerve endings, folate is also hailed as very important for pregnant women, since the vitamin helps prevent abnormalities to the brain and spine of a developing fetus. Potassium is another nutrient that’s abundant in avocado. Functioning as an electrolyte in the body, potassium is essential for optimal muscle contraction, and properly balanced potassium in the body helps prevent high blood pressure as well as osteoporosis, especially in elderly women. Avocado has shown potential for preventing or alleviating depression as well. In a study conducted by the University of Oxford’s Department of Psychiatry, it was found that patients suffering from depression showed improvements after being fed a diet high in tryptophan, a type of amino acid. Avocado is certainly rich in tryptophan, much like organic cottage cheese, bananas, and seafood like wild salmon, trout, tilapia or flounder. Research has shown that nutrients are mostly abundant in the dark green portion of the avocado meat near the skin, so to maximize your intake of the fruit’s healthful goodness, first slice the avocado lengthwise with a fruit knife and then separate the halves to take out the seed. Slice each of the halves afterwards and peel the skin like you would a banana. Also, it’s always best to immediately use all the avocados that you slice and peel. If this is not possible, squeeze some lemon juice onto the avocado and put it in an airtight food container or zipper storage bag before putting in the refrigerator to minimize discoloration. My top tip for avocado: make a fast, go-to avocado bowl snack by chopping an avocado in half, filling the pit with olive oil, sprinkling with sea salt, and…eating. Nori is a type of seaweed that is most popular for it’s use in making sushi. Made from porphyra and/or enteromorpha species of algae, this seaweed variety grow in shallow and cold water. Nori often comes in thin sheet form and has a black-purple color which turns a deep green when toasted. Though nori’s popularity in the United States is only fairly recently, this seaweed has been eaten for centuries in Asia, specifically in China and Japan. This unassuming seaweed packs a big nutritional punch. Nori appears to be the only vegetable that has been studied and confirmed to contain Cobalamin, a type of vitamin B12, in the form that’s actually bioavailable to humans. In a study conducted by the Sapporo Medical University in Japan, nori made from the Porphyra tenera algae has been found to contain biologically active Cobalamin. In a subsequent study done by Kochi Women’s University, the research was expanded to include green and purple nori from the enteromorpha and porphyra species, respectively, and it was established that the Cobalamin in nori can indeed be absorbed by humans. It is crucial to note that animal products like meat and eggs are the traditional sources of bioavailable Cobalamin, so these findings prove especially beneficial for vegans and vegetarians. In the same study, it was also found that nori has the lowest dietary iodine among all seaweed products. This makes nori a more suitable choice for those who need to watch excessive intake of this mineral, such as individuals who have thyroid conditions. Nori made from the porphyra species of algae contain porphyran, a type of sulfated carbohydrate that appears to have cancer-preventive properties. In a Korean study on gastric cancer cells, porphyran was found to induce cancer cell death, as well as inhibit the spread of malignant cells. The porphyran in nori has been found in another Japanese study to have anti-allergenic properties as well. This capacity of porphyran to inhibit contact hypersensitivity in laboratory rats may prove useful in finding therapeutic approaches for allergies later on, or for downregulating autoimmune issues in folks with lots of food allergies. Nori can be added to soups to provide a salty and tangy taste. You can toast nori to bring out its flavor before sprinkling it on soup or other dishes. To toast, turn a gas burner to low or find another source of fire/heat, and holding the nori with tongs, pass the sheet back and forth atop the flame for about 30 seconds or until it becomes crispy. My top tip for nori: Fold a nori sheet in half, then gently unfold, and brush the inside half sheet lightly with olive oil or avocado oil using a pastry brush. Sprinkle some salt on the inside half. Fold, press, and cut into bite size strips. Place in a baking sheet, making sure the strips are arranged with intervals so as to avoid sticking. Put the baking sheet inside the oven preheated to 250 degrees Fahrenheit and toast the strips for 15 minutes or until crisp. Take out and place the crispy strips in a cooling rack and repeat the process for the remaining nori sheets. To store, place in an airtight glass jar. Amazon’s dense forest contains several unique plant species such as Brazil nuts and acai berry, plants that can be found tough to find anywhere else on the planet earth. Native Amazonians cherished the delicious Brazil nuts for ages, because the nuts provided them with much-needed protein, fats, and other essential nutrients. Some of the common names in local dialects are castanha-do-pará, castania, para-nut, cream-nut, and Castaña-de-Brazil (chestnuts of Brazil). 100g of Brazil nuts provide about 656 calories. But their high caloric content chiefly comes from their high levels of fats, and much of this fat content is monounsaturated fatty acids (MUFA) like palmitoleic acid (16:1) and oleic acid (18:1), which helps raise HDL levels in the blood. Research studies suggest that Mediterranean diet that is rich in monounsaturated fatty acids offers protection from coronary artery disease and strokes by favoring healthy blood lipid profile. The nuts are also a very good source of vitamin E, and contain about 7.87 mg per 100 g (about 52% of RDA). Vitamin E is a powerful lipid soluble antioxidant required for maintaining the integrity of cell membrane of mucosa and skin by protecting it from free radical damage. Brazil nuts also have exceptionally high levels of selenium, with 100g of nuts providing about 1917 µg or 3485% recommended daily intake of selenium, rating them as the highest natural source of this mineral. Selenium is an important cofactor for anti-oxidant enzyme, glutathione-peroxidase. Just 1-2 nuts a day provides enough of this trace element. Adequate selenium in the diet help prevent coronary artery disease, liver cirrhosis, and cancers. Additionally, these creamy nuts are an excellent source of B-complex group of vitamins such as thiamin (51% of RDA per 100 g), riboflavin, niacin, pantothenic acid, vitamin B-6 (pyridoxine), and folates. Altogether, these vitamins work as co-factors for enzymes during cellular substrate metabolism inside the body. In addition to selenium, Brazil nuts have very high levels of other minerals such as copper, magnesium, manganese, potassium, calcium, iron, phosphorus, and zinc. Copper helps prevent anemia and bone weakness (osteoporosis). Manganese is an important co-factor for the antioxidant enzyme, superoxide dismutase. Brazil nuts can be available raw (unshelled or shelled), roasted, and salted in most stores. Since the nuts are high in polyunsaturated fats, they may turn rancid and deteriorate rather early if they get exposed to air, humidity, and sunlight. So I recommend you purchase unshelled nuts, keep them in the freezer or refrigerator, and shell them as and when required to enjoy their edible meaty kernel. Buy whole, brown color nuts that feature full, compact, and heavy in hand. Avoid shriveled and damaged Brazil nuts, as they may be affected by fungal mold. My top tip for Brazil nuts: At the very, very end of making a smoothie, I toss in 3-5 brazil nuts and blend for about 5-10 seconds with the other smoothie ingredients to get a chunky, nutty flavor. Oysters are unusual and delicious mollusks that provide your body with a number of unique nutrients and minerals. The nutrients in oysters can help with weight loss attempts, boost metabolic activity, increase tissue repair and growth, balance healthy cholesterol levels, reduce blood pressure, improve your immune functions, aid in wound healing, and promote healthy growth. Furthermore, they are considered a powerful aphrodisiac, can improve blood circulation, and increase bone strength to reduce osteoporosis. Edible oysters have been a part of the human diet for at least 700 years, but have likely been eaten in raw or cooked forms for much longer. 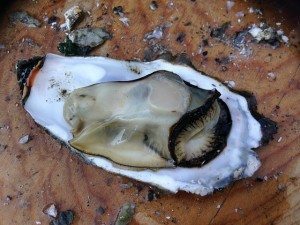 The edible components are the meat inside the oyster, and once the shells have been cracked, you can cook this meat in a variety of ways, but they can also be eaten raw, and is often preferred in that way. The impressive health benefits of oysters come from their vast stockpiles of minerals, vitamins, and organic compounds. In fact, some minerals, such as zinc, are in their highest content in oysters. Oysters also include very high levels of protein, vitamin D, vitamin B12, iron, copper, manganese, and selenium, along with high levels of niacin, riboflavin, thiamin, vitamin C, phosphorus, potassium, and sodium. Finally, oysters are a huge source of beneficial cholesterol, antioxidants, omega-3 fatty acids, and water. These elements of oysters make them an extremely healthy food that can seriously boost your body’s overall function and health. As an aphrodisiac, oysters can help increase sexual performance and drive, primarily in men. Like I mentioned, the zinc content of oysters is unbelievable, and oysters contains more than 1500% of the daily requirements of this essential mineral in a single serving. Zinc has also been closely linked to sexual dysfunction in men, while impotence and erectile dysfunction are closely associated with zinc deficiency. Therefore, eating oysters can give men their sexual edge back and increase feelings of masculinity. Oysters represent one of the most nutrient packed foods, with very low calories versus the volume of serving size. This means that people trying to lose weight can keep their body packed with the nutrients it needs, without adding too much weight on their frame. Compared to an equal serving size of chicken, oysters have nearly half the calories (pretty cool, considering chicken breasts are often turned to for low-calorie, protein-rich meals). A single serving of oysters provides nearly 1/3 of the daily requirements for protein. Oysters can positively impact heart health in a variety of ways, primarily via the high levels of omega-3 fatty acids versus omega-6 fatty acids. This ca help reduce the content of oxidized cholesterol in the blood stream and inhibit cholesterol from binding to blood vessel and artery walls. In this way, oysters can reduce the chances of plaque accumulation and a variety of health complications, including cardiovascular disease. Furthermore, the high potassium and magnesium content of oysters can help to lower blood pressure and relax the blood vessels, thereby increasing circulation and oxygenation of the blood and reducing strain on the cardiovascular system. Finally, the vitamin E in oysters increases the strength and flexibility of cellular membranes, which is a third level of protection against heart disease. Oysters are also a very impressive source of iron, with more than 90% of our daily requirements in each serving. Iron is a key component in the formation of red blood cells in the body, and is the primary defense against anemia, also known as iron deficiency, which can lead to fatigue, cognitive malfunction, stomach disorders, and general muscle weakness. The mineral content is also quite impressive in oysters, and this can be a major contributor to the strength of your bones. The high levels of calcium, phosphorus, zinc, iron, copper, and selenium all contribute in their own way to increasing bone mineral density and durability, thereby protecting you from developing conditions like osteoporosis. Boosting the immune system is yet another health benefit of eating oysters. The vitamin C and vitamin E content in oysters, as well as various other minerals that have antioxidant and anti-inflammatory properties, helps you defend your body form free radicals that are byproducts of cellular metabolism which can attack healthy cells and mutate DNA into cancerous cells. These free radicals can also cause heart disease, premature aging, and general body disrepair wherever they lodge themselves, but the antioxidants and various vitamins in oysters can help control free radicals and boost immunity. My top tip for oysters: Since oysters do absorb much of the nutrients from the areas where they grow, it is possible that some oysters contain pollutants and certain toxins, so only eat oysters from a trusted source. These smoked ones are really quite good and importantly, BPA-free. Every region’s traditional cuisine has its own set of fermented food. Miso, tempeh, tamari and natto are examples of the various ways Asians have traditionally fermented soybeans, allowing a food that can traditionally wreak some health havoc to instead be a dense source of nutrients. Fermented soy sources are quite diverse in flavor, form, texture and culinary properties. This is due to the particular methods or stages of fermentation each of these products undergo. Miso and tamari are used as sauce or as flavoring in the preparation of other dishes. Tamari is actually a byproduct in the manufacture of miso, and is the liquid that accumulates as the miso continues to mature. There are various types of miso, depending on which types of soybeans or grains are used, and tamari is derived from miso made almost exclusively from soy. Then there’s tempeh and natto. To make tempeh, the soybeans are ground and formed into large patties. But for natto, the individual soybeans are used, albeit in a quite soggy and sticky form that resembles snot, and natto also has a very pungent odor that makes this dish an “acquired taste”. (but hey, I still like it with some mustard and nori and sushi rice!). Tempeh is actually of Indonesian origin, while natto as well as miso and tamari are part of Japanese cuisine. Leucine and glutamic acid are two amino acids that are consistently abundant in all four forms of fermented soy. Leucine helps build muscles while glutamic acid is used by your body for neurotransmission, especially in the cognitive areas of the brain. Tempeh and natto are notable for having high amounts of proline and serine amino acids. Proline is crucial in the production of collagen for connective tissues and skin, and serine is a structural component of various parts of the nervous system. Proteins aren’t the only compounds broken down by fermentation. Soy’s oligosaccharides, known to cause gas and indigestion, are also reduced via fermentation. Another thing that is lowered is phytic acid, a phytochemical that tends to be higher in grains but also contained in some legumes like soy. It can block some absorption of minerals and nutrients, but fortunately fermentation eliminates most of the phytic acid in soy, enabling you to absorb the iron, calcium and other minerals found in these soy products. Miso soup is the most popular Japanese dish for the miso form of soy. The other necessary ingredient for a good miso soup is dashi or fish soup stock. Typically you only need 1.5 tablespoons of miso paste to flavor 13-14oz of soup. The paste and soup stock form the essential base, and then additional vegetables or spices added really depend on your preference. Usually dried seaweed, mushrooms and tofu are included. But since tofu isn’t usually fermented, tempeh can work as a substitute for tofu. Take note, there are differences in texture, as the latter is made by curdling soymilk. Tofu is soft and spongy while tempeh is firm and chewy, which usually makes tempeh more appropriate for frying. Traditionally, before it’s fried, sliced tempeh pieces are soaked in brine. If you care to have some soy with your soy, you can use tamari as a dipping sauce for your fried tempeh. Tamari is almost like soy sauce, only a little thicker and less salty. 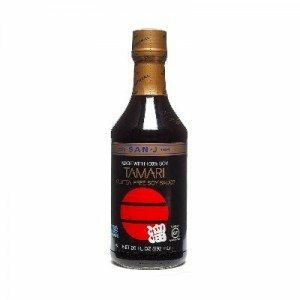 Another advantage tamari has over conventional soy sauce is that no wheat is included in the fermentation process. So it’s safe for people sensitive to gluten. The slimy fermented soy product natto is usually eaten as is, after you take it out of the packaging. Typically, it is topped on a hot bowl of steamed rice. In Japanese cuisine, natto is also sometimes used in other dishes. It can be added in miso soup, prepared as sushi (natto sushi), or used as one of several ingredients in okonomiyaki, a type of Japanese pancake. And in case you’re still totally freaking out about even going near any form of soy at all, you should read this truth about soy. My top tip for fermented soy: serve a few heaping tablespoons of natto over sushi rice, wrap in a nori wrap with your favorite kind of mustard (I prefer Dijon). Coconut oil is a type of edible oil made from either the meat or kernel of matured coconuts. Long included in the diets of populations living in the tropical regions of the world, coconut oil has extensively been introduced in other cultures as a home remedy for a manifold of health maladies. Coconut oil has been for decades incorrectly viewed as an unhealthy type of edible fat. But a growing body of research continues to establish the goodness that coconut oil offers to human health. For instance, it shows potential as a dietary therapy for abdominal obesity in women and men if included in a high-fat, low-carbohydrate, and low-protein diet. It appears that the fatty acids, specifically the medium-chain triglycerides (MCTs) in coconut oil, helps curb appetite and subsequent food intake as well. MCTs have also been found to improve energy expenditure and to help the body become more efficient at burning fat. The MCTs in coconut oil encourage the increase of ketone body levels as well. Ketone bodies have been noted as a promising substitute energy substrate for the brain. It is crucial to note that the brain utilizes some amounts of glucose as “food” to function normally. But especially in individuals with neurodegenerative disorders like Alzheimer’s Disease (AD), the brain’s glucose metabolizing function is impaired, starving the organ of nourishment and subsequently resulting in typical AD symptoms like memory loss. Increasing ketone bodies by implementing an MCT-rich, low-carbohydrate, and low-protein diet has shown potential for treating cognitive disorders, as evidenced by studies published in 2004 and 2008. Coconut oil appears to have heart-protective properties as well. Coconut oil’s phytosterols, polyphenols, and vitamin A and vitamin E have been found to be responsible for potent anti-oxidant activity by preventing the oxidation of LDL. As a broad-spectrum antimicrobial agent, coconut oil can be used as a topical beauty product. For instance, coconut oil can be applied directly onto the armpits to serve as a deodorant. It can be used as an all-around moisturizer to prevent skin chafing or to manage the skin condition called xerosis as well. Coconut oil can be utilized as a mouthwash to treat halitosis and gingivitis, or just to improve or maintain overall oral health, too. It has been proven useful for preventing hair damage and so can be used as a pre-wash or post-wash hair grooming product as well. My top tip for coconut oil: need a quick, satiating bedtime snack that doesn’t spike glucose and insulin levels? Just put a tablespoon of coconut oil onto a spoon, top it with a touch of almond or nut butter and lick this “fat bomb” off the spoon. Coconut milk is the thick white liquid extracted from mature coconut meat. Known for its characteristic creamy texture and sweet taste, coconut milk has gained popularity as a wholesome, appetite-satiating drink among health enthusiasts and athletes alike. Coconut milk and other products from coconut (like coconut oil) have long been villified for their high saturated fat content. While indeed true, it’s crucial to note, as I mentioned earlier in the section on coconut oil, that the type of fats present in majority in coconut milk and other coconut products are medium-chain triglycerides (MCTs), and not long-chain triglycerides (LCTs). Unlike the latter, MCTs have a simpler molecular structure, making them more soluble in water and easier to transport from the small intestines to the liver for conversion to ketones, which your muscles (and diaphragm, liver, heart and more) then utilize for energy. Because this is the case, your body’s energy expenditure is improved, and because the MCTs get pretty much used up, very little is left to deposit in fat tissues. Just like coconut oil, coconut milk consumption may be beneficial for individuals with cognitive disorders as well, since providing the brain with an alternative energy substrate in the form of ketones has shown preventive and therapeutic effects. One problem is that the majority of coconut milk brands are packaged in cans. These cans are lined with the synthetic compound bisphenol A (BPA) to prevent corrosion. BPA then leaches into the packaged food. The more acidic or fatty the packaged food (the latter being the case with coconut milk) the higher the levels of leached BPA. It’s scary that 93% of US adults have been found to have measurable levels of BPA in the urine, since BPA has been associated with the development and subsequent worsening of hormone-dependent cancers such as breast cancer and prostate cancer. High urinary BPA levels in American adults have been consistently linked to peripheral arterial disease, too. Continued exposure may also lead to type 2 diabetes mellitus because of its capability to bring about insulin resistance. BPA is also associated with childhood obesity as well as early onset of menstruation in American girls. So be sure to opt for coconut milk brands packaged in cartons or BPA free cans to minimize your exposure to BPA, or use a BPA-free canned variety. Alternatively, you can extract coconut milk from coconut flakes with the use of your trusty blender and some cheese cloth. Also, coconut milk contains specific carbohydrates or sugars that may cause stomach upset. I’d advise individuals suffering from irritable bowel syndrome (IBS), inflammatory bowel disease (IBD), or fructose malabsorption and who follow a Low FODMAP Diet to steer clear of coconut milk consumption. My top tip for coconut milk: I blend it with chocolate stevia, stir in unsweetened coconut flakes or shredded coconut, then freeze to make a low-sugar ice cream. Fuzzy green novelty Chia Pets may be the first thing you think of when you hear the word chia, but these tiny superfood seeds are the reason Chia Pets get their lush coating. 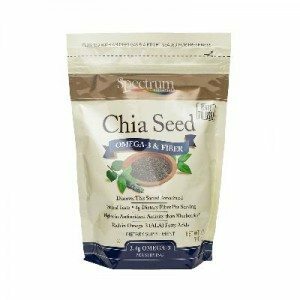 Nowadays, chia is becoming better known as a great source of healthy omega-3 fats and fiber, and fortunately, it’s an easy food to add to your diet. Chia seeds come from a flowering plant in the mint family that’s native to Mexico and Guatemala, and history suggests it was a very important food crop for the Aztecs. Chia remained in regular use in its native countries, but was largely unknown in North America until researcher Wayne Coates began studying chia as an alternative crop for farmers in northern Argentina nearly three decades ago. Human trials on chia are limited, but the anecdotal evidence of chia’s positive health effects include boosting energy, stabilizing blood sugar, aiding digestion, and lowering cholesterol. The tiny seed, which comes in either white or a dark brown and black color, also has a powerful nutritional profile. It contains calcium, manganese, and phosphorus, and is a great source of healthy omega-3 fats. As an added benefit, chia seeds can be eaten whole or milled, while flax seeds have to be ground before consumption in order to access their health benefits. Chia is being studied as a potential natural treatment for type-2 diabetes because of its ability to slow down digestion, probably due to the gelatinous coating chia seeds develops when exposed to liquids, and the ability of this gel to help prevent blood sugar spikes. Chia’s stabilizing effect on blood sugar also fights insulin resistance, which can be tied to an increase in belly fat. Just a 28-gram or one-ounce serving of chia has 11 grams of dietary fiber – about a third of the recommended daily intake for adults. Adding some chia to your diet is an easy way to make sure you’re getting a good amount of fiber, which is important for digestive health. Chia seeds are packed with omega-3 fatty acids, with nearly five grams in a one-ounce serving. These fats are important for brain health. With chia seeds, there’s a little better conversion of omega-3 fatty acids into the plasma or into the food than with flax seed. A serving of chia seeds has 18% of the recommended daily intake for calcium, which puts your well on your way to maintaining bone and oral health, and preventing osteoporosis. Manganese isn’t a well-known nutrient, but it’s important for your health: it’s good for your bones and helps your body use other essential nutrients like biotin and thiamin. One serving of chia seeds, or 28 grams, has 30% of your recommended intake of this mineral. With 27% of your daily value for phosphorus, chia seeds also helps you maintain healthy bones and teeth. Phosphorus is also used by the body to synthesize protein for cell and tissue growth and repair. Chia seeds also make a great source of protein for vegans and vegetarians. One 28-gram serving of these super seeds has 4.4 grams of protein, nearly 10 per cent of the daily value. Tryptophan, one amino acid found in turkey, is also found in chia seeds. While tryptophan is blamed for that strong urge to nap after a big Thanksgiving dinner, it also helps regulate appetite, sleep and improve mood. According to the Cleveland Clinic, chia seeds have been shown to improve blood pressure in diabetics, and may also increase healthy cholesterol while improving your triglyceride to LDL cholesterol ratio…all good news for your ticker! When you’re buying chia, both the white and black seeds are good choices, but be sure you’re getting a good quality product by avoiding red seeds (immature chia seeds), or black seeds that are smaller than regular chia seeds (these are called “weed seeds”). My top tip for chia seeds: put 3-4 tablespoons in an 8oz glass of water, soak for 1-10 hours in the refigerator. While these three grasses and grains are known for having an almost complete array of proteins, a fact that sets them apart from other more common grains, they also provide a host other nutrients and benefits. Manganese is one mineral that these three grains all contain in relatively high amounts.The body may need only trace amounts of this mineral but it plays several important roles. As support against oxidative stress, it’s one of the substances that compose the antioxidant superoxide dismutase (SOD). In the area of physical growth, it’s needed in the production of connective tissues and bones. Other roles include normal nerve function and fat and carbohydrate metabolism. One cup of cooked millet can supply about 23% of the body’s daily need for this nutrient. Quinoa is even higher with a 58% daily value. The really abundant source is amaranth, providing more than a 100% per serving. As whole grains, quinoa, amaranth and millet are naturally rich in dietary fiber. In 100 grams of either quinoa or amaranth, there are 7 grams of fiber available. Millet is a bit more variable and depends on the type. Barnyard millet seems to be highest, with 10 grams fiber for every 100 grams of millet. Whole grains, including these three, are typically considered as heart-protective because of the significant presence of soluble fiber in them. This is the kind of dietary fiber that can regulate blood sugar levels and lower cholesterol, and packs way, way less of a sugar-spiking wallop compared to something like whole wheat bread or pasta. Sprouting is a highly recommended preparation for grains and legumes, including these three. The process of germination at the initial stages of sprouting is able to reduce the amount of antinutrients inherent in these types of grains and grasses and thus improve their nutritional profile. Sprouts have more of many vitamins compared to seeds, and minerals become more bioavailable too. Soaking grains such as organic quinoa, amaranth or millet is a middle ground, a compromise between sprouting and cooking the grains unprepared. Soaking is less effective in making the grains more nutritious and safer but at least you don’t have to plan your meal days in advance (depending on the grain and other environmental factors, sprouting can take more than 24 hours) Then, there’s the periodic draining and rinsing involved with sprouting. Yeah, it can be a little bit of a pain. Soaked grains are still nutritious but they don’t have all the advantages of sprouts. However, soaking mitigates (but to a lesser degree than sprouting) some inherent substances in grains that prevent the body from fully absorbing nutrients or are potentially harmful. Lectins are on example. Lectins are found everywhere in various forms: plants, animals and the human body. In plants, they’re found in significant amounts in the seeds or grains and serve the purpose of keeping them intact even when consumed by animals. The danger to the human digestive system lies in the fact that lectin can irritate the intestinal lining and hinder the natural repair mechanism of the gut mucosal cells. The negative effects of lectins can range from irritable bowels to a full-on autoimmune response that results in brain fog and organ damage. For some individuals who are highly sensitive to grains and the lectins they contain, soaking them might not be a good enough safety measure compared to sprouting. After soaking and rinsing, (and if desired, sprouting) properly cooking organic quinoa, amaranth or millet can further reduce the harmful substances in them. To make things more convenient, you can always use a rice cooker, but just make sure you use the appropriate water-to-grain ratio, with 2 cups water to 1 cup quinoa, 2 – 3 cups water to 1 cup amaranth and 2 cups water to 1 cup millet. My top tip for quinoa, amaranth and millet: in South Asian cuisine, millet is often ground to flour and used to make several types of flatbread, a staple in that region. 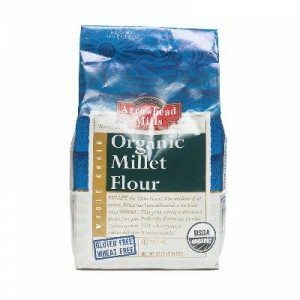 To turn soaked millet grains (quinoa and amaranth work for this too) into flour, you need to dry them. Just stick them into a dehydrator or in the oven after rinsing them from the soak. Once dry, ground the dried grains into a fine powder through a coffee grinder or food processor. From there, you can proceed to make bread, waffles, pancakes or any other relatively gluten-free but nutrient-dense and protein-packed baked or grilled goodie. The short-grain rice used to make sushi is of course called sushi rice and sometimes also called Pearl rice, Glutinous rice or Japanese rice. It is available now in many markets, not just Asian grocers. Only sushi rice has the right balance of starches (amylose and amylopectin) to allow the rice to stick together and keep the final product intact from plate to mouth. Try to eat medium or long-grain rice with chopsticks and you’ll quickly see what I mean. I’ll admit that brown rice, wild rice, black rice, etc. can be more nutrient dense, but sushi rice just burns very, very clean and is tolerated by most people’s guts. When first picked, all rice is brown. Then, following the removal of the outer husk and the top germ layer of the grain, rice becomes white. The grains are then polished before they are packaged and sold as white rice. Brown rice has had the husk removed but retains its germ, which is the nutrient-rich layer that white rice has had “scrubbed off”. Wild rice grains are kept in their entirety, with both the germ and the husk intact. For sushi rice, it is best to use the instructions on the package of rice when cooking it, but generally you use equal parts rice and water. Prior to cooking, the rice should be rinsed in cold water until the water runs clear, a step now becoming less necessary as talc (used to prevent the rice from absorbing water and sticking together during storage) is slowly being replaced with another type of starch, which is fine to cook with. But you never know and the package often won’t tell you what the company used as a coating. Remember that one cup of uncooked rice will yield approximately two cups of cooked rice. Store your sushi rice at room temperature covered with a damp towel. This will keep it from drying out. Exercise physiologist and Feed Zone Portables author Allen Lim swears by a rice very much like sushi rice as clean-burning source of fuel for athletes, and you can check out a few of his go-to recipes in my article “What To Eat Before, During & After Workouts“. In their books and videos, Allen Lim and his co-author Biju Thomas actually use “Calrose” rice. It is a medium grain, only a little longer than a true sushi rice, but plenty sticky. It’s also cheaper and widely available, and what you usually get in Japanese restaurants (the brands Nishiki and Botan are easy to find in any grocery store and make great rice cakes and onigiri, or Japanese rice balls). Take a handful of rice, put a dab of miso or umeboshi plum paste in the center and wrap with nori. Stuff ’em in your jersey pockets and train hard! My top tip for sushi rice: I make “lazy sushi” by preparing my sushi rice per package instructions, cooling, then wrapping in a nori wrap with a few sliced avocados and sardines. The cacao tree produces seeds that can be dried, dehulled, roasted and minimally processed into what is essentially raw chocolate, AKA, raw cacao nibs. The nibs can be used to produce different grades of commercial chocolate, and they are often used as snacks. They are slightly bitter and may be sweetened with honey or used in baked goods. Cacao nibs and the dark grades of chocolate they produce can provide important benefits to your intestinal regularity, heart and blood vessels and blood sugar level. For example, cacao may help to keep your bowel movements regular. 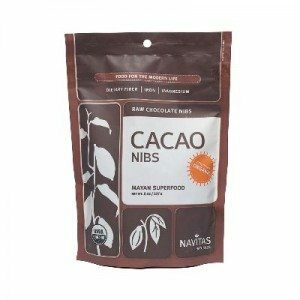 A single ounce serving of raw cacao nibs contains 36 percent of the recommended daily intake of dietary fiber, or 9 grams. Adding as little as 6.6 grams of cacao fiber per day to your diet may improve your bowel habits, according to a clinical study appearing in “Nutrition and Metabolism.” Subjects in this study were given cocoa powder supplemented with high-fiber cocoa bran in a semi-skimmed milk drink twice daily for two four-week periods, separated by a three-week period in which cocoa was not consumed. The frequency of bowel movements increased and feelings of constipation decreased during the periods when cocoa powder was consumed. Cacao nibs appear to be heart-healthy as well. One of the main health benefits of cacao is for the arteries in your heart and brain. Eating cacao foods such as chocolate several times per day may decrease your likelihood of having a stroke or heart attack, according to clinical studies published in the “Journal of the American College of Cardiology” and the “Journal of Internal Medicine.” In both studies, the frequency of stroke and heart attack in human subjects declined with an increase in chocolate intake. Many of the health benefits, including cardiovascular benefits, of cacao nibs are believed to be due to compounds called polyphenols. The cacao polyphenols are made of 37 percent catechins, 4 percent anthocyanins and 58 percent proanthocyanidins. Cacao polyphenols may improve the health of your heart and brain arteries by serving as antioxidants and inhibiting blood platelets from forming a clot. If your blood cholesterol is somewhat elevated, cacao polyphenols may also lower your low-density lipoprotein, or “bad” cholesterol, and raise your high-density lipoprotein, or “good” cholesterol levels. The fiber and polyphenols in cacao may work together to help control your blood pressure and blood glucose levels. Blood pressure and blood glucose have been shown to be lowered by a cocoa-fiber-rich product providing 12 grams of dietary fiber and 283 milligrams of polyphenols per day during the eight-week study period. At least part of the beneficial effect of cacao on your blood sugar level may be due to slowing of starch digestive enzymes by polyphenol procyanidins in your small intestine. My top tip for cacao nibs: after you finish making a smoothie, sprinkle 1-2 tablespoons of these on top for a satisfying, nourishing crunch. When thinking of sardines or anchovies, you’re likely to picture small fish packed in a can or bottle. It’s said that sardines were actually the first type of fish to be canned. This happened in France during the reign of Napoleon Bonaparte. It was also during this period that the canning process was first developed as a food security solution for both the military and the general populace. But these types of fish have long been part of the human diet, even before the advent of canning or bottling. During the time of the Roman Empire, for example, citizens enjoyed a kind of fermented fish sauce made from anchovies called garum. This is not really surprising, as fish in general are an cheap and readily attainable source of fatty-acid rich protein (as opposed to the type of protein that makes me cringe when I hear recommended by fitness professionals: “lean proteins”). A 1 ounce serving of sardines (around 2-3 small pieces) provides almost 7 grams of protein. This is actually comparable to a similar serving of beef steak. Tryptophan is one of the more abundant essential amino acids found in sardines. Your body needs this substance to synthesize serotonin, a neurotransmitter substance that regulates sleep and mood. Compared to sardines, the same serving amount of anchovies contains even a little more protein at about 8 grams of protein. Besides also having lots of tryptophan, anchovies are also an excellent supply of glutamic acid, a non-essential amino acid. The body uses this to create what are known as glutamates, a class of neurotransmitter compounds that play a very crucial role in cognitive functions such as learning and memory. Sardines and anchovies are commonly canned or bottled. Avoid eating versions that are contaminated with bisphenol A (BPA) which is present in many canned goods, as it is one of the compounds used to make the inner resin lining of cans. You should also avoid the added sodium and other artificial preservatives that come with canned fish products that use brine or tomato sauce. Canned sardines and anchovies are pre-cooked and ready to eat. This makes them an easy ingredient for salads or sauces. For salads, just add and toss the fish along with the fresh vegetables and spices. Vinaigrette is probably one of the more compatible dressings you can use for such a salad dish. For sauces, you can simply ground the sardines or anchovies into a sauce while it’s simmering on the stove, or add the fish afterwards whole. My top tip for sardines and anchovies: easy. When I need protein on my lunchtime salad, about 95% of the time I’m grabbing a can of fish and dumping it over a bed of vegetables, often using a nori wrap like a burrito to shove the veggies and fish into my gaping maw. Turmeric is a rhizome. That means the part of the plant we mainly consume are its rootstocks, so some big ol’ ugly roots of turmeric have a place in my pantry, along with powdered orange turmeric. Turmeric is really a type of ginger. The roots of turmeric, however, are more elongated and the color can range from yellow to deep yellow-orange. The plant is native to the South Asian region and thrives only in tropical climates with a lot of rainfall. Those who like curry have no doubt tasted this spice as it is a main ingredient in most curry mixes. As I mentioned in my article on CBD oil, turmeric also has significant medicinal value, as it has long been utilized in Ayurvedic and traditional Chinese medicine. Most studies attribute the spice’s medicinal value to the active component curcumin, which is the major phytochemical compound in turmeric. This substance also gives turmeric its particular yellowish color. Research has shown that turmeric as an anti-inflammatory can be almost as effective as pharmaceutical anti-inflammatories. But the spice has the added advantage of not producing any toxic effects like NSAID’s and other drugs. It can alleviate bowel diseases like ulcerative colitis, and researchers think that this is because curcumin can inhibit inflammatory agents in cells. Turmeric has also been found to help reduce joint pains such as those caused by rheumatoid arthritis. This is due to turmeric’s anti-inflammatory and antioxidant characteristics. Antioxidant substances can capture free radicals in the body, and inhibit cell damage, pain and inflammation, including that associated with arthritis. The list of turmeric benefits goes on. Turmeric can also increase some detoxifying enzymes in the liver and enhance detox pathways in this organ. It can prevent cholesterol from oxidizing and as a result reduce plaque build-up in veins and arteries. It can correct the genetic defects that causes cystic fibrosis. It can inhibit the mechanism in genes that triggers the growth of cancer cells. There are studies that show curcumin combined with the phytochemical quercetin from onions can be effective against colon cancer. While in combination with phenethyl isothiocyanates, another type of plant substance abundant in cauliflower and other cruciferous vegetables, curcumin can stop prostate cancer cells from growing. But setting aside its medicinal value, turmeric is a nutritious root too. Vitamin B6, potassium, fiber, manganese, and iron are some of the nutrients you can acquire from this root. -Chop the rootstocks just like ginger and add it to stir fry, soup or salad dishes. -Also, just like ginger, you can run fresh turmeric through a juicer and get a concentrate. Use this juice to cook an Asian rice recipe like java rice or knock it back like a tonic drink. If the latter, mix in some raw honey and lemon juice, because it really has a strong taste. -Make your own stock by boiling, drying and then finally grinding fresh turmeric. From there you can concoct your own curry mixes or use it in any curry-based recipe. -Mix the ground or powdered form in virgin coconut oil to make a paste. This can then be topically applied to areas with inflammation. One thing to keep in mind when dealing with fresh turmeric is that the juice can quickly stain surfaces and it gets quite sticky as it dries. Turmeric is in fact also used as textile dye. So quickly wash any kitchen utensils with water and detergent if you don’t want them to have yellow colored spots and smudges, and careful not to get this stuff on your clothes. My top tip for turmeric: for a muscle anti-inflammatory and general health tonic, juice turmeric with lemon, ginger, and carrots, then add to the finished juice a splash of olive oil and sea salt. Add stevia to take some of the bite away, and add garlic too if you’re brave. As I mentioned in the section on turmeric, ginger has been traditionally used for its anti-inflammatory properties. Many studies have looked into it and reveal how certain compounds found in the spice are able to do this. For example, gingerol is the main volatile oil that gives fresh ginger its pungent aroma and spicy flavor. This substance makes ginger an effective anti-inflammatory because it can stop the formation of nitric oxide into peroxynitrite which is a harmful free radical. Another pain-relieving action that ginger provides is to inhibit inflammatory substances internally produced by your body, specifically cytokines and chemokines made by the cells in the joints and joint cartilage. So ginger can successfully alleviate much of the pain that comes with arthritis and other types of muscle pain and soreness. Other studies on gingerol have also identified antipyretic (fever reducing) and antibacterial qualities. One exceptional research on cancer has shown the volatile ginger oil to be able to wipe out ovarian cancer cells, and these cancer cells went into cell death when exposed to ginger extract. Tumors associated with colorectal cancer are another set of cells that ginger was able to successfully eradicate. Ginger is also commonly known to prevent nausea, vomiting and dizziness. It is in fact often used as herbal remedy for morning sickness by pregnant women and by those who are susceptible to motion sickness. Similarly, gastrointestinal relief is an additional benefit to taking some ginger. The spice is said to stimulate the production of saliva, which facilitates easier swallowing. The digestion process is improved because the spice enhances gut motility in a process called peristalsis. So ginger doesn’t just calm down a stressed stomach and alleviate indigestion but it can also treat constipation. 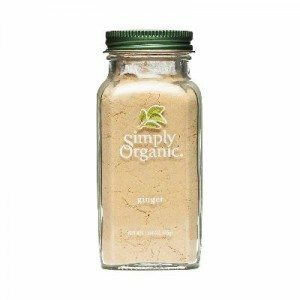 To get your ginger, you can turn to conveniently prepared ginger powder or to raw ginger. The former tends to have a stronger aroma and taste because drying and heat converts the gingerol into another volatile compound called shogaol. Which of the two common forms of the spice you use depends on how you plan to use your ginger. For medicinal purposes, fresh raw ginger will likely give you the most benefit. The simplest preparation is turn it into tea or juice. To do this, peel the skin off the ginger root, cut thin slices, and boil in water to make ginger tea. Then run the peeled root, cut into appropriate sizes, through a juicer to make ginger juice. You can drink the juice (or ginger tea) after meals, or take the juice after a particularly grueling exercise to ease some of the joint and muscle pain. –Ginger herbal tincture – Soak ½ cup of chopped fresh ginger in 1 cup of vodka for two weeks. Use a tightly sealed glass jar. After the 2-week period, strain the ginger and store the remaining tincture. Just a few drops in water will do for therapeutic relief. Powdered ginger – After peeling the fresh root use a grater to cut it into small thin pieces. Place these on a baking sheet lined with wax paper on the bottom then cover up the pieces with more wax paper to keep it from getting contaminated. Let the grated ginger dry up on its own in a cool and clean area of the kitchen. Once dry, run the pieces through a coffee grinder. My top tip for ginger: lazy man’s ginger tea for everything from nausea to muscle pain – just chop up a crap-load of ginger, put in a pot, bring to a boil, then let simmer for 15-20 minutes. Olive oil is one of the most versatile oils because of its function as food, beauty aid, as well as home remedy for a host of physical maladies. Olive oil used to mostly come from Mediterranean Europe. However, even the United States now has its own olive oil production (but you gotta be careful with some hoaxes behind that). Olive oil has long been known as a potent antioxidant, and that’s not just because of its high vitamin E content. As it turns out, olive oil’s polyphenols protect against oxidative damage, and olive oil appears to be effective at guarding against stroke and heart disease as well. A diet rich in olive oil has been found to help promote healthier blood pressure in men. Olive oil also protects the heart from metabolic changes brought about by obesity, according to one animal study. Olive oil may be a suitable cancer-preventive food as well. In one Belgian study, it was found that those with moderate to significant intake of olive oil had lesser odds of developing bladder cancer, compared to those whose source of dietary fats were primarily comprised of animal products. Olive oil has been proven effective at managing weight too. In a study published on the Journal of Women’s Health, overweight breast cancer survivors were made to follow a standard lower-fat diet and then also a diet rich in olive oil. Results showed greater and more sustainable weight loss in the olive oil-rich diet compared to the traditional lower-fat diet, signifying a promising weight management potential from consuming this fat. Olive oil, much like coconut oil, appears to also have a profound effect on cognition. In a French study, elderly subjects who were given moderate to significant amounts of olive oil, and during the entire course of the research showed improved visual memory as well as verbal fluency. Further studies have to be conducted, though it’s great to know that olive oil may just be a healthy preventive and possibly therapeutic alternative to addressing the cognitive deficit and decline characteristic of Alzheimer’s. As one of the most versatile oils out there, it comes as no surprise how olive oil can have so many uses. It is of course a popular ingredient in salad dressings. Homemade pizzas can be made healthier by substituting the usual oil you use to grease the pizza pan with olive oil instead. You can also add olive oil to smoothies or vegetable juices for a healthy fat addition to your drink. Olive oil as a beauty aid has manifold applications as well. You can dab a few drops directly to your skin for a chemical-free moisturizer. You can concoct your own lip gloss by combining organic beeswax with olive oil as well. Olive oil can treat gingivitis and halitosis or be used as an agent for maintaining oral health by using olive oil daily for oil pulling. It can also be used as a base or carrier oil for any essential oils you use for therapeutic massages. My top tip for olive oil: when I’m traveling and don’t want to use the nasty hotel lotion, I call down to the hotel restaurant and have them deliver olive oil to my room (make sure it’s extra virgin). I then smear it on my face as a moisturizer during the rest of my travels. The stevia plant is a shrub, and there are actually more than 200 species of it. The particular one that’s frequently utilized as a sweetener is Stevia rebaudiana. Not surprisingly, some common names for this species of stevia are sweetleaf and sugarleaf. Stevia leaves have been used as both food and medicine by indigenous peoples in South America for around more than a millennia. The Western world first encountered it in the 16th century through Spanish physician Pedro Jaime Esteve (the genus Stevia was in fact derived from the Latinized form of his surname). Setting aside the phytonutrients that naturally come from any food or root taken from a plant, the one very apparent quality of stevia is that it has all the sugary goodness you may desire, but none of the health risks of elevated blood sugar. The fresh whole leaves of this plant are 10 to 15 times sweeter than ordinary table sugar. This is also true for herbal powdered stevia, which is the most commercially available form. If that isn’t enough sweetness for you, the refined and concentrated extracts can actually be up to 300 times sweeter. But despite it’s exceptional sweetness, stevia has very little effect on blood glucose levels. So this plant is probably the best news any diabetic or anyone on a low-carbohydrate diet can receive. Steviol glycosides are the sugar compounds found in stevia leaves. The two major types identified are stevioside and rebaudioside A. Studies on these compounds have shown that it is the latter type that is sweeter and exhibits less of this plant’s characteristic bitter aftertaste (the aftertaste is comparable to that of licorice and because of genetics, tends to be more noticed by some people, usually people who don’t like the taste of stevia for this reason). Studies have also revealed that stevia adds zero calories, but doesn’t cause digestive problems like other artificial sweeteners such as sugar alcohols. The metabolic byproduct steviol passes through your system completely undigested, without leaving any toxic residues in the kidneys or liver. If you’re gifted with a green thumb, you can simply purchase stevia seeds and start growing them in the garden. You can then cut leaves as needed and put them in teas and other beverages for flavoring. With a thriving stevia shrub in your yard, you can go further and harvest more leaves to make your own supply of stevia herbal powder. You can either sun-dry them for around 12 hours or use a small home dehydrator. Then the dried leaves can be ground either with mortar and pestle or a coffee grinder. There is also a way to make home-made liquid stevia extract. Allow a portion of fresh crushed leaves to soak in water or in pure USP grain alcohol for 24 hours. Afterwards, simply filter the leaves out of the liquid and use that resulting syrup as a sweetener. The alcohol method is able to extract more of the glycosides, but to remove the alcoholic taste the liquid extract will have to be slowly heated (do not boil) until most of the alcohol evaporates. Stevia can basically be used as a substitute for most recipes that use sugar. Just be aware of the extreme sweetness of stevia. A single tablespoon of powdered stevia is more or less equivalent to a cup of ordinary table sugar. Another thing to note is that this sweetener doesn’t caramelize, so it won’t work for recipes that call for such an effect. My top tip for stevia: I make my kids lemonade by adding a squeeze of half a fresh lemon, a pinch of sea salt and a touch of stevia to a glass of ice water. They dig this (and so do I) on a hot summer day. Now I realize that this list is by no means “comprehensive”, but if you were to go out and at least get the 19 items listed above into your pantry, and then supplement those foods with some healthy, organic meat and some fresh plant matter, herbs and vegetables, you’ll have a cooking and meal prep arsenal that is more rock solid than 99% of the population in this country, guaranteed. If you want to see how I actually craft many of these foods and ingredients into actual meals, you should take a look at my article 40 Easy Meals For Busy Athletes: How To Fuel Your Body With The Thousands Of Calories Necessary For Endurance and Extreme Exercise Without Completely Destroying Your Metabolism, or go delve into the BenGreenfieldFitness Inner Circle, in which my wife and I share many more family recipes and go-to meals (and also check out the free cookbook I’m giving you at the end of this article). OK, now let’s jump into the part where you save boatloads of money on all this stuff, and many other natural, healthy products (yes, if you really don’t want to step outside your house, Amazon Prime works for some of the fresh stuff like sweet potatoes and avocadoes, but for the packaged stuff, even Amazon is far less comprehensive and affordable than what I’m about to show to you). Growing up with a single mom and seeing how hard she worked to make healthy choices, my friend Gunnar Lovelace vowed to find a way to make wholesome food affordable. So when when his mother remarried a man who ran a health food buying club from an organic farm in Ojai, California, he saw a way forward: a modern, online version of a health-food co-op. And this is where the idea for Thrive Market was born. Thrive Market is a socially conscious (more details on that in a moment) online marketplace that gives you access to over 4000 organic, non-toxic and natural products ranging from food, to supplements, to home cleaning and laundry supplies, to bath and beauty products, all at 25%-50% off the regular retail prices you’d find elsewhere. 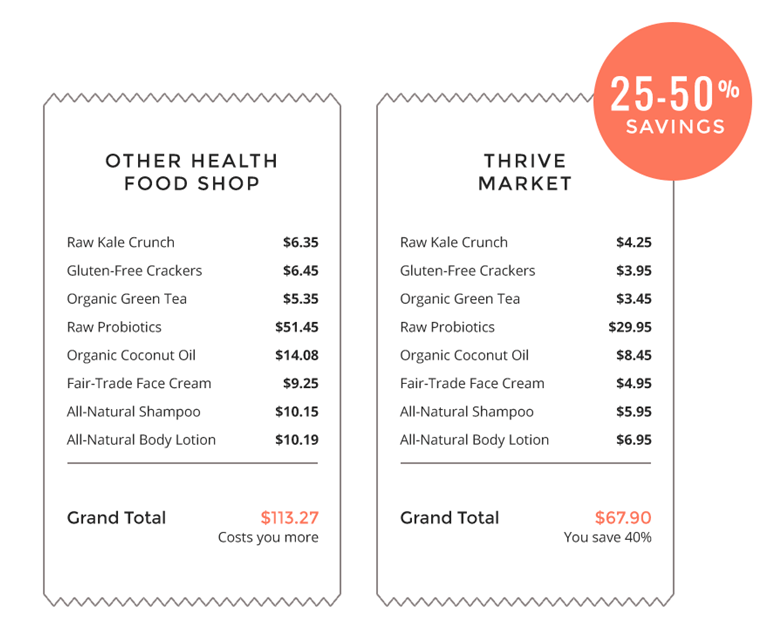 … “if Costco and Wholefoods got all liquored up at a rave and had a kid, it would look a lot like Thrive Market“. ….”think Whole Foods products at Costco prices, with the convenience of Amazon“. So not only are the Thrive Market products cheaper, but if you’re stuck in an urban oasis, working in a big city, or don’t have access to fresh food from a garden or farmer’s market, you don’t need to spend gas, time and money to hunt down quality ingredients. Here’s how Thrive works: you sign up for a membership that is less than $5/month ($59.95 annually) and you can then can shop the thousands of products offered at Thrive, place an order, and receive that order right to your front door. Orders larger than $49 receive completely free shipping. Currently that free shipping applies only to the continental US, but Thrive is now working on adding international orders too. If you’re not sure if this type of online healthy food ordering platform is for you, no problem. Thrive offers a one-month trial membership for those interested in experiencing the ease of healthy shopping before making a monthly commitment. But the beauty of Thrive doesn’t stop there, especially if you’re a socially conscious, sustainably-minded, dirt-worshipping healthy hippie. First, every paid membership to Thrive is matched with a free membership for a low income American family. That means your neighbor down the street who you know needs healthy food but simply can’t afford it now has an outlet to be able to conveniently get it. Getting low income families access to discounted healthy food and natural products is going to be a huge game-changer for reversing chronic disease and obesity in our country and beyond. Second, Thrive Market is a 100% environmentally responsible and sustainable business. All their packaging, boxes, and inserts are made from recycled paper and are recyclable. They are also committed to supporting other sustainable businesses by working with eco-friendly vendors and suppliers who share their values. They are 100% carbon neutral through carbonfund.org. I have even spoken on the phone with Gunnar in detail about Thrive, and gone so far as to invest my own money in the company because what he’s doing is so darn impressive. Third, the CDC estimates that over 90 percent of chronic disease is caused by diet, lifestyle, and environmental factors. This means that eating fresh, organic, nutrient-dense food and using green, non-toxic cleaning and personal care products is absolutely crucial for maintaining your health, maximizing your physical and mental performance, and extending your lifespan. If you really are keen on this whole “stocking a healthy pantry” thing, you’re going to find that you save more in your first, single purchase than the cost of an entire year’s membership to Thrive. Thanks for reading! Leave your questions, comments and feedback below, and click here to check out Thrive Market as a convenient, trustworthy one-stop shop to stock your healthy pantry. Stevia causes my mom to have to have migraines along with artificial sweeteners. I also get migraines and never have good reactions to Stevia. I was wondering why that is? Is it because the way it processed from the plant? 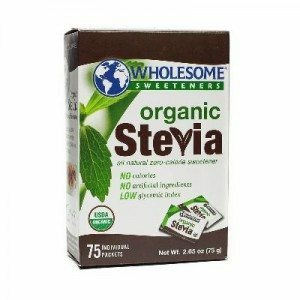 Stevia just tastes like chemicals to me, what I found to be the perfect non-sugar sweetener is Swerve–I can eat it straight out of the container it is that good. Ben’s list is great (except for the Stevia) BTW. Ben – What is your favorite Stevia brand these days? Both granule and liquid/extract. I do not have a Thrive Market membership (current version linked in the above article) and am looking for an all natural, organic version with limited sugar alcohols as they tend to upset my digestion if consumed regularly. Thanks. Do you have an opinion on Omica’s CBD products? Where else can we read up some more (whether your website or otherwise) on how to achieve optimal sugar (insulin) levels? I am not even prediabetic but I do not think that my levels are optimal. What are the optimal values anyway? Some background: I am 50 year old female in menopause. Thanks again for a great article Ben! I like to have these "go-to" lists that I can show to my patients and help them make better choices at the grocery store. For some time now I have stopped buying canned sardines, etc. that come packed in olive oil. My logic is that, for one, I have no clue the quality and if it is indeed 100% olive oil; and two, depending on how the oil was previously stored, there’s a good change the oils might be rancid. Because of this, I tend to buy the sardines in water, but I see that the oysters only come in olive oil. What’s your take on this? Also, regarding chia seeds. Do you worry about the fragile poly oils going rancid while its sitting in the package, exposed to the open air? In the past I have generally put my seeds in the fridge once the bag is opened. I know the seed itself protects the oil to an extent, but I am uncertain to what degree. Also, who knows how long the seeds sit out at the factory before being put into bags. Maybe I am being overly worrisome. I’d appreciate your input. Keep them in the freezer is even better. 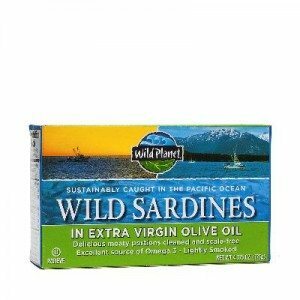 Vital Choice does offer sardines in ORGANIC EVOO, on their site- https://www.vitalchoice.com/?idaffiliate=4022 , something you may want to consider. Best tasting sardines I’ve probably ever had (probably the highest in omega 3/ can of any brand). Thanks for the recommendations! I'd be really interested in trying some smoked oysters – but the only ones I can find are in sunflower oil. Say if I was to rinse them, do you think these are worth getting – industrial seed oil and all? I wouldn't recommend. Sunflower oil has a high Polyunsaturated fat content and the potential for going rancid and forming unstable free radicals. If the oysters have been soaking in it, you can't really 'wash it off.' You can find them on Amazon in Olive oil. I always prefer real vegetables – but I keep this in my pantry just in case! 16 out of 19! Not bad. I’m missing the Brazil Nuts, Millet Flour and Stevia. About that last one always wondered if Stevia promoted the sweet tooth habit? Regarding sushi on the go, I actually made my own trail sushi right here: http://inprove.me/2015/05/22/trail-sushi/ :) Love it! Stevia may produce a little bit a propensity to like things Stevia sweetened, vs not, but still a great alternative to sugar. I'll check out your trail sushi! Check the label. Most powdered products are predominantly erythritol, dextrose or maltodextrin (rice or corn). If from corn, you can bet GMO. Liquid stevia will be just stevia extract. Oh, and a little known fact about those little “packets”. They can say “zero calories” when less than a gram of a substance is present. So, when it has 95% dextrose a.k.a. SUGAR as main ingredient, it’s less than a gram’s worth, they can lie and say “zero calories”. This is true of all those artificial sweeteners. Something that should be shared with all the diabetics. You certainly have a lot of interesting foods on the list. I’ve never even heard of some of them like the cacao nibs and chia seeds. I’ll definitely have to try those out and see how I like them! In their books and videos, Allen Lim and Biju Thomas actually use "Calrose" rice. It is a medium grain, only a little longer than a true sushi rice, but plenty sticky. It's also cheaper and widely available, and what you get in Japanese restaurants. The brands Nishiki and Botan are easy to find in any grocery store and make great rice cakes and onigiri, or Japanese rice balls. Take a handful of rice, put a dab of miso or umeboshi plum paste in the center and wrap with nori. Stuff 'em in your jersey pockets and train hard! Nice, I'll add this info to the post! No whey protein? Organic coffee? Kerrygold butter? Kimchee? Or how about a freezer or smoker full of tasty game? Charlatan! Just curious. Why do you freeze your coffee? To preserve the beans/grounds. You can retain a more even flavor this way. I grind what I'm going to use for the week. Great article. Thanks so much. And I agree, Thrive Market is a god send to me. Incredible company. I live in Japan and see negative effects all around. I believe “sushi rice” deserves much of the blame: men with poor muscle development, poor athleticism, poor digestion, poor energy levels, short height, narcolepsy, etc. Sushi rice seems to promote weight gain, offer few nutrients, hugely contribute to constipation, and add ballast to meals without being necessary, essential, or a go-to food. But when you're hammering on a bike down the highway and you bite into a bacon-egg sushi bite, it's a little slice of heaven. As with anything, you can overconsume it. Ummm, I’m gonna need that bacon-egg sushi bite recipe, for research. Great article, love these inside looks. Helps to simplify things. Thank you. I don’t believe the rice is the problem. Most kaiten (conveyor belt) sushi here in Japan is *full* of sugar and/or corn syrup to sweeten and preserve the rice while it sits for hours on a conveyor belt at room temperature.